Join Concordia PhD student Hugo Rueda (History), Professor Erica Lehrer (History & Sociology-Anthropology), and Queen’s University postdoc Jennifer Robinson (Visual Anthropology) as they present 3 short talks in preparation for their participation in an upcoming conference at the British Museum, “Art, Materiality and Representation”. 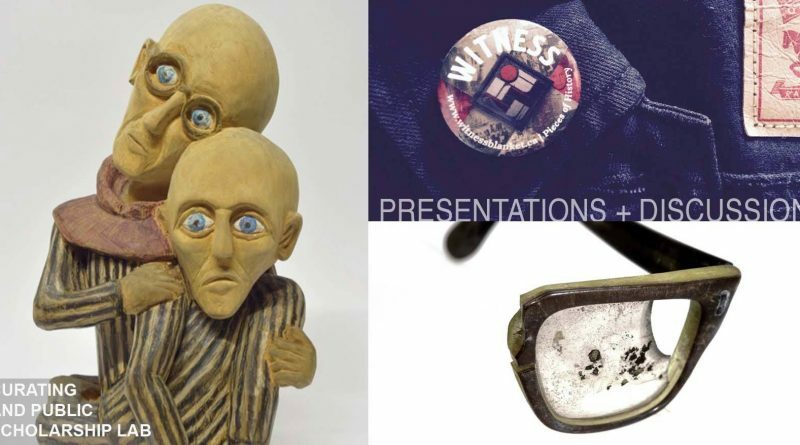 ➞ “Awkward Objects of Genocide: Vernacular arts and Holocaust bystander memory in Poland.” – Dr. Erica Lehrer (Associate Professor, History and Sociology-Anthropology/Concordia University) + (Director, Curating and Public Scholarship Lab). ➞ “(R)econciliation and the Pedagogy of Witnessing in Canadian Museums and Arts-based Research” – Dr. Jennifer Claire Robinson (Postdoctoral Fellow, Creative Conciliations/Queen’s University).